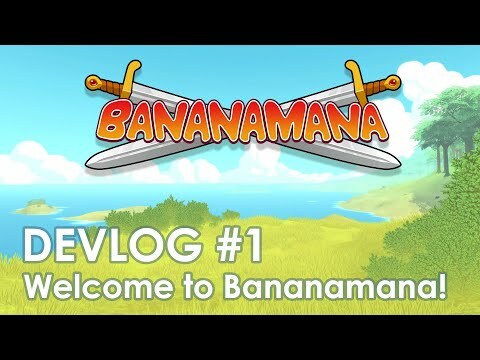 I'm finally ready to share a first dev-log video for my new game called Bananamana! 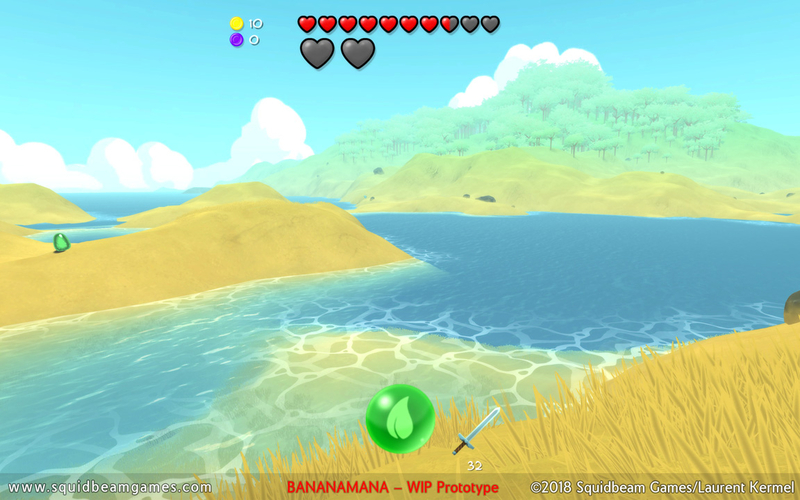 Bananamana is a procedurally generated action/adventure game and I can't wait to share more details with you soon! 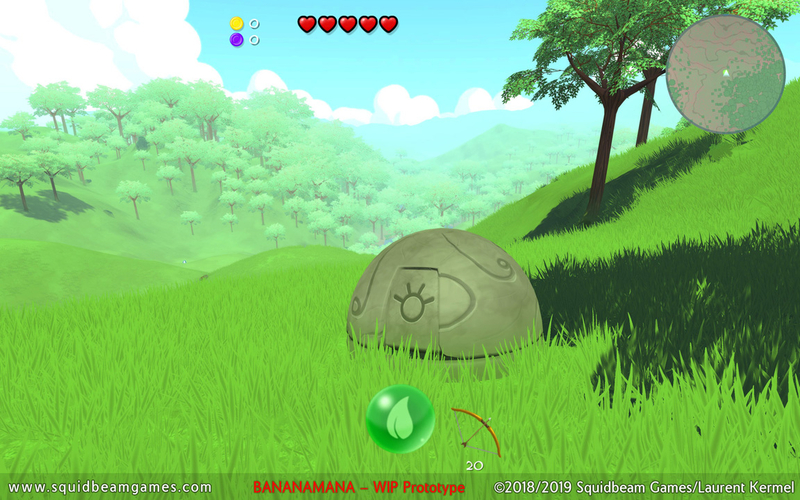 Although I'm planning to release it first as a 2D, "flat" game, I've been keeping VR in mind as I design it. 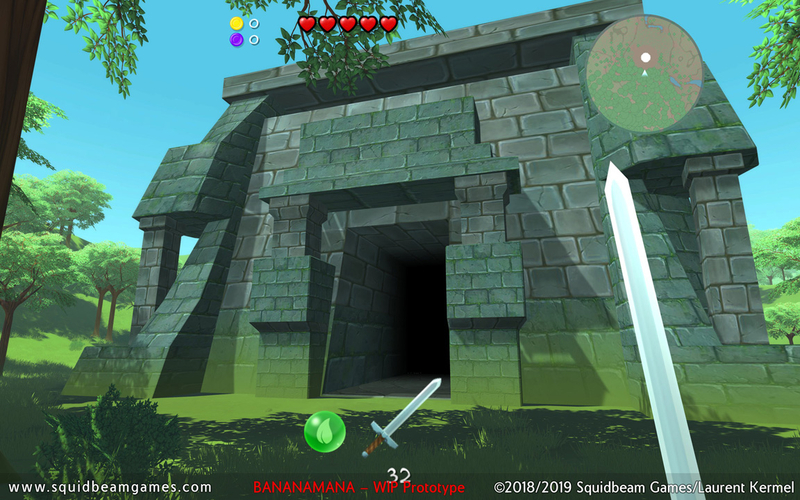 I actually released a VR game called Twobit Odyssey for the Gear VR and Oculus Go a year ago , so I'm already familar with the awesomeness and limitations of VR... and I'm also very sensitive to motion sickness, so I'll make sure that Bananamana doesn't make you (and I) sick. I've already run some tests with the Oculus Rift and, I have to admit, the game looks awesome in VR! There is still a long way to go but I can't wait to share more details with you soon! I'll keep posting updates and news on this thread! 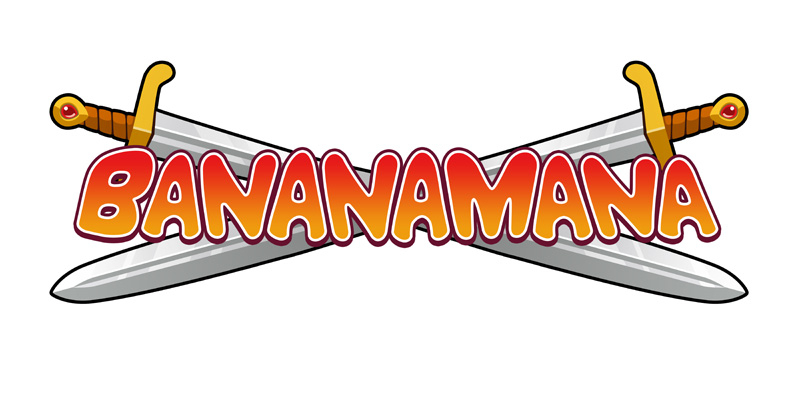 I've been really busy working on Bananamana! 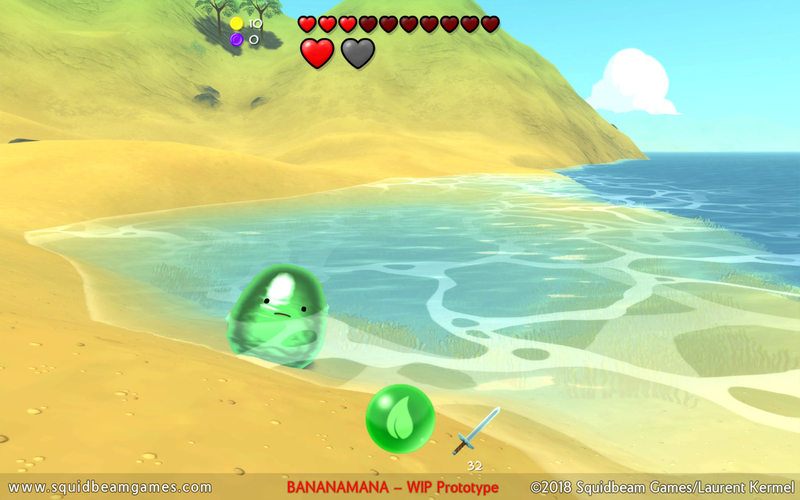 I finally got to tackle my water shader and I think it looks awesome! I still have a few things to fix but it's starting to look like what I intended it to be! 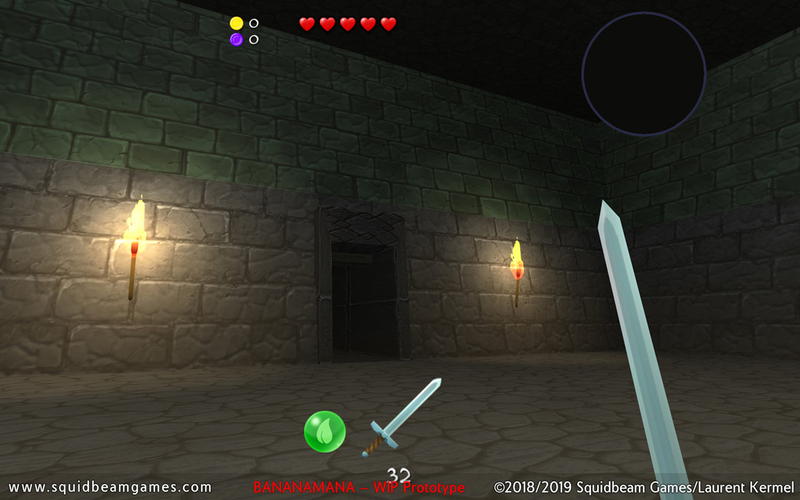 I've also implemented the game's main User Interface - still needs some work though! 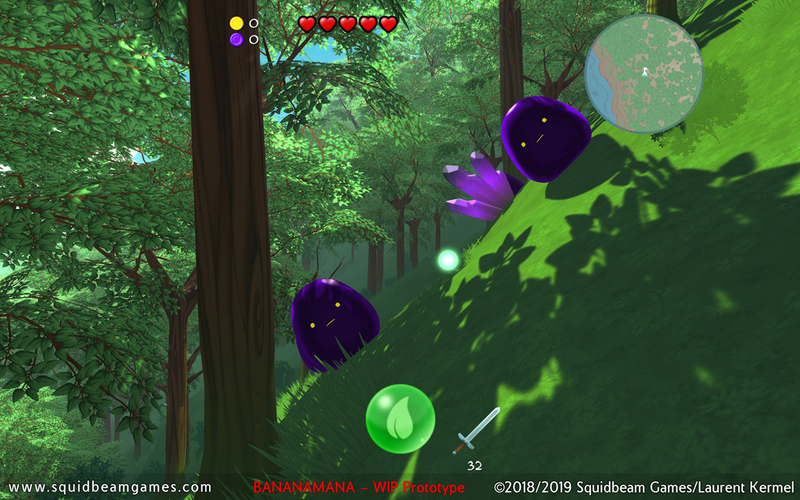 Finally, I've added a screenshot that shows a rough day/night cycle - if everything goes according to plans, it may be an important part of the gameplay! A lot more to come soon, hopefully in the shape of a new Dev-Log video! I spent the holiday in my hometown in France visiting family and friends. It is always a joy to spend Christmas there, especially with my two young nephews who seem to share the same crazy passion for video games as me and my brother do. Well, I usually can't stay idle for long... 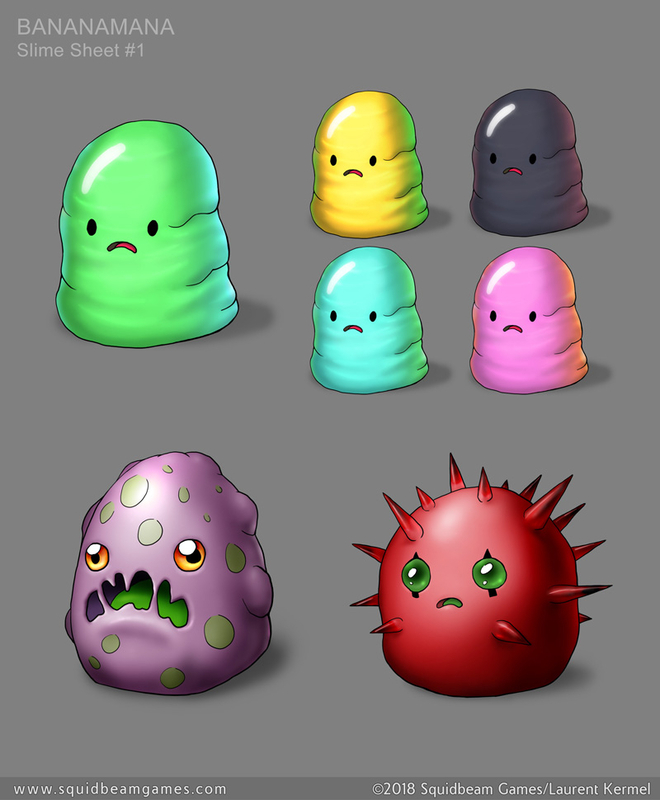 I had my sketchbook with me and doodled all kind of stuff for Bananamana - such as these cute slimes! I love brainstorming ideas on paper, definitively keeps my creative juices flowing More to come soon! 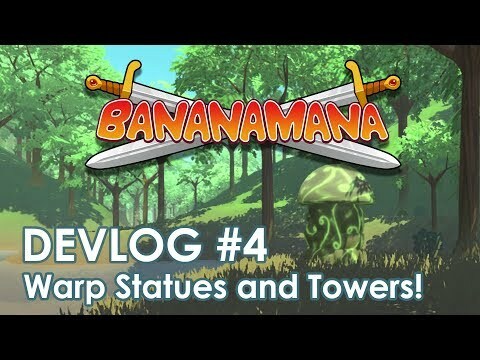 New dev-log video for Bananamana! I've done so much work in the past few weeks! 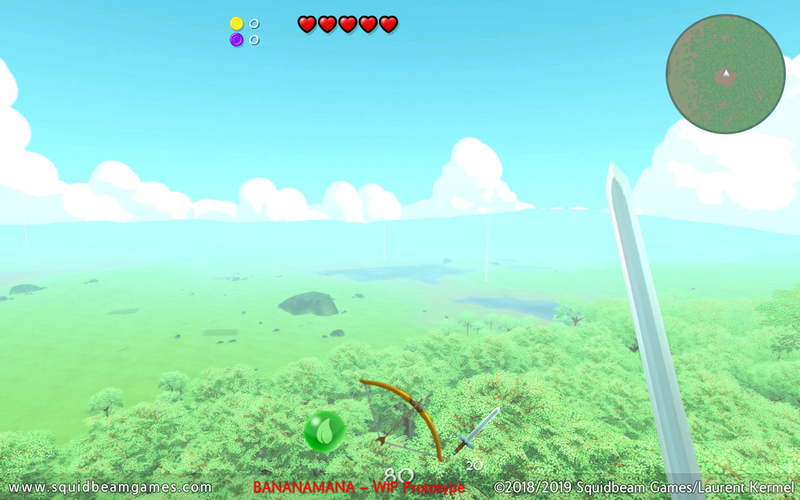 This video shows the new UI as well as the distance/melee weapons in action! Enemies now drop items when defeated! Well... they only release gold coins for now... but enemies always drop coins, don't they? So I had to start there Oh, and now you can also find chests! 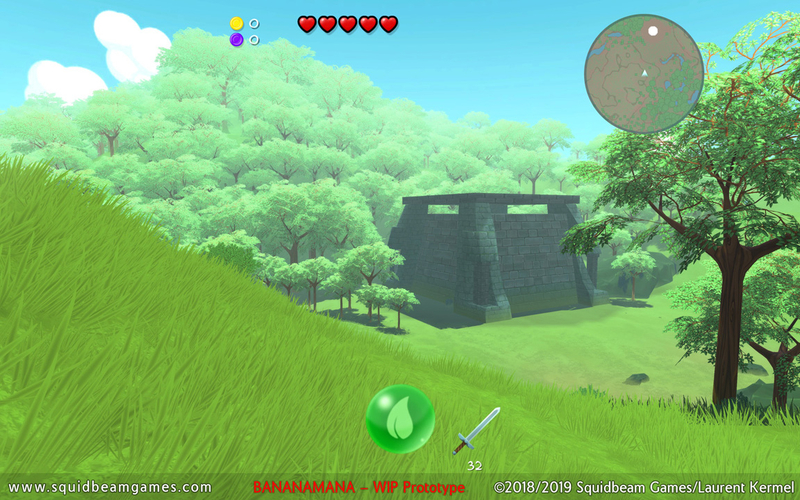 Finally, I've started working on each world's map and mini-maps! I've also fixed tons of minor issues and features here and there. Much more to come soon! 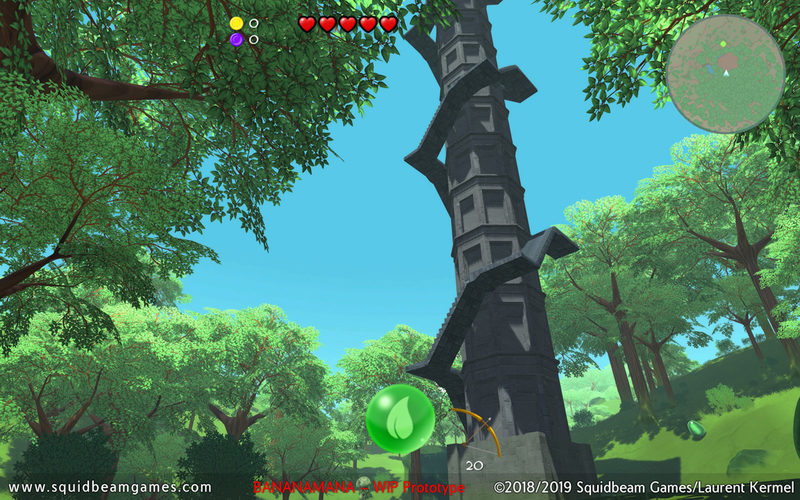 The game is shaping up to be genuinely lovely, and each iteration seems to be bringing a richer, experience. As a lover of procedurally-generated games, I'm very much looking forward to this -- and to seeing how you adapt the UI and experience for VR. 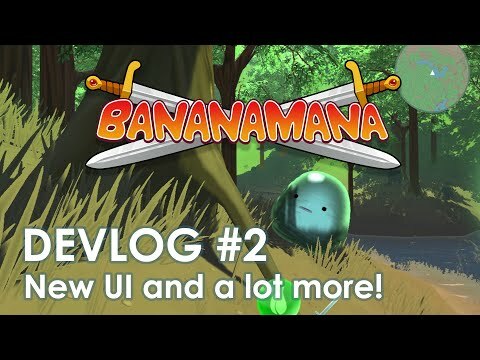 New dev-log video for Bananamana! 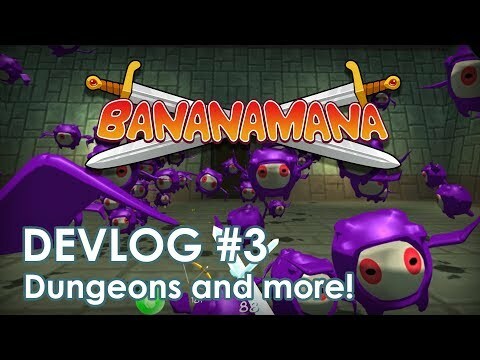 A month has passed since my last dev-log video and I have implemented a lot of new features in Bananamana such as dungeons! 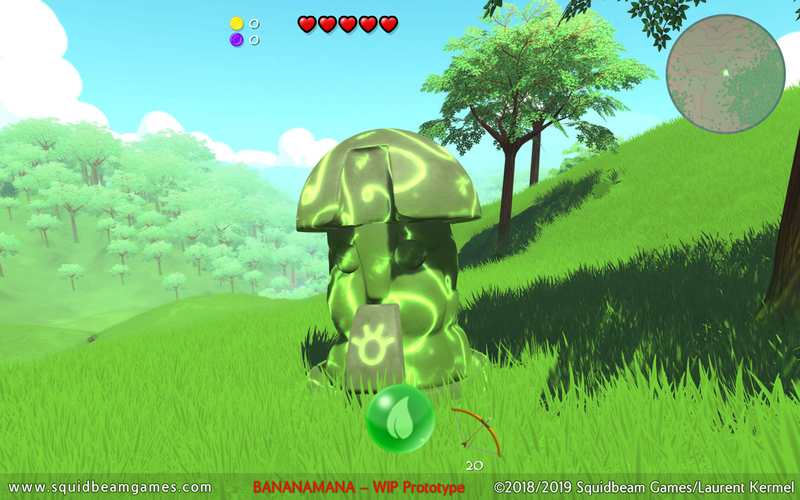 I also reveal in this video some of the game's mechanics - in a nutshell I want Bananamana to be a mix of action, adventure and exploration. 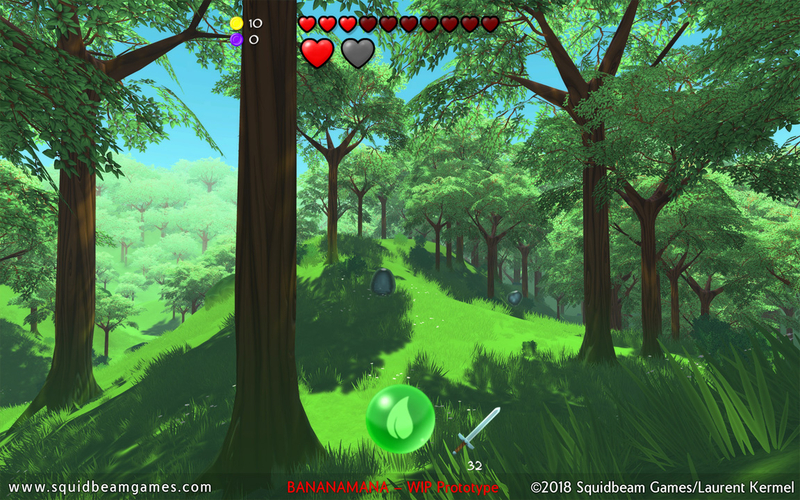 The procedural generation will allow the game to renew itself each time you play. 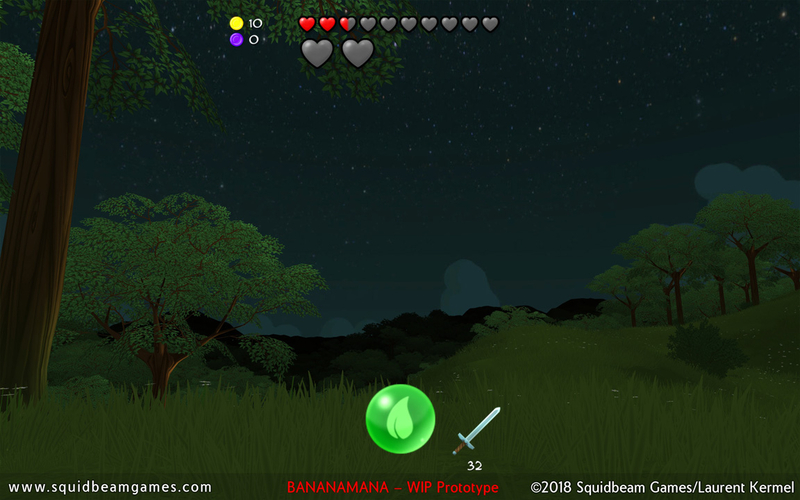 It may sound like a Roguelike, but I don't want the game to be as punishing... so Bananamana will be more of a Roguelite-ish experience. I still use placeholder textures here and there, and some models are still rough.... More to come soon! 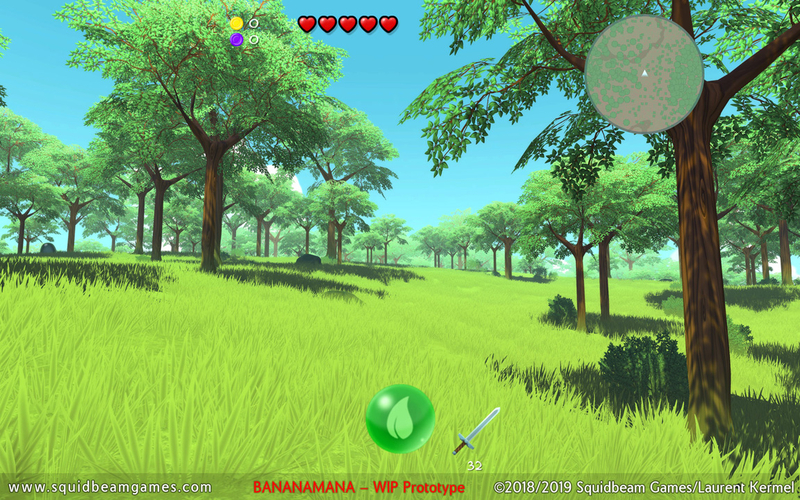 Once again, I've been doing a LOT of work on Bananamana, my procedurally generated action/adventure game! 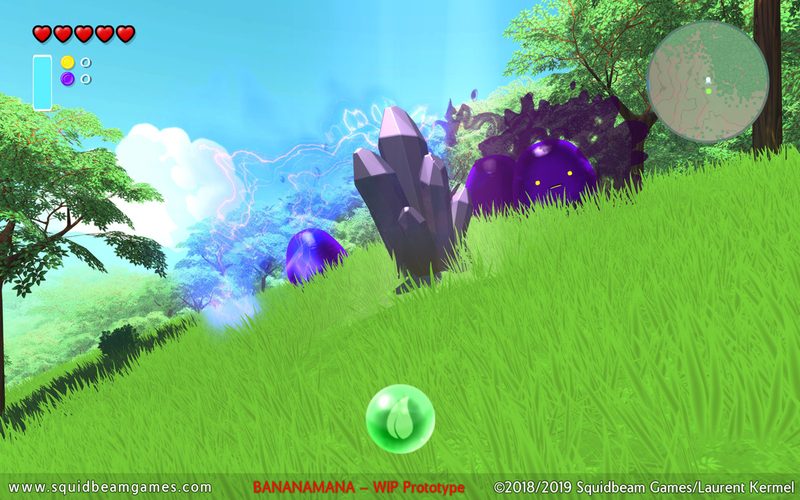 I'll share some of my progress soon and will publish a new devlog video next week! But this week, I would like to share a picture of my new lightning bolt shader! It looks awesome in action!